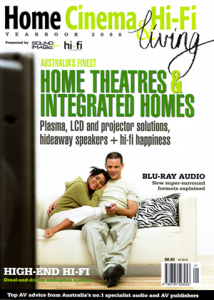 Home Cinema and HiFi – Yearbook 2008! The industry busts a nut for us once again. To read the Home Cinema and HiFi article click here.